The followers of this religion are convinced that not only is changing the world a possibility, but that it is also inevitable, because one unified world is God's plan for creation. The purposes of life are to know and love God, and to "carry forward an ever-advancing civilization....[because] To act like the beasts of the field is unworthy....Those virtues that befit [human] dignity are forbearance, mercy, compassion and loving-kindness towards all the peoples and kindreds of the earth." Gleanings from the Writings of Bahá'u'lláh, p. 215. So, how is all that going to happen? As an individual you can't charge out the door expecting to change the world, or even your family or your neighbors, because you will soon fail. On the other hand, things are not going get better without individuals willing to work at it. The problem here is that life is not linear, but rather, an infinite series of feedback loops. Change one thing and it will affect another, which alters something else, which will have an impact on you. An excellent example of the kind of problems a feedback loop can cause is depression, for which exercise helps more than drugs, but when depressed, who feels like exercising? To control depression, you can change the attitudes, the inner dialogues, that cause it, which can get you moving, or you can move, which will change the biochemistry of that part of your brain which controls mood. But changing behavior is difficult to accomplish alone. Ask any smoker who has tried to quit! Human beings are not solitary by nature; we are a social species that has survived by watching and learning from each other. In order to change, we require--according to sociologists--a goal, a role model, and a supportive environment. We need to know things can be different, then see someone flourishing with this new behavior, and when we try it out, most of us will need encouragement from those around us to keep practicing until we succeed. Within the Teachings of Bahá'u'lláh, Prophet/Founder of the Bahá'í Faith, these prerequisites to change are provided. Given that the primary focus of the religion is on unifying the entire human race, Bahá'í theology, social laws, and community administration are designed to assist transformation of individuals and groups. * action--you have to get out there and do it. Bahá'u'lláh gave mankind the goals--reiterating the importance of developing the virtues that every Messenger of God has emphasized throughout history. 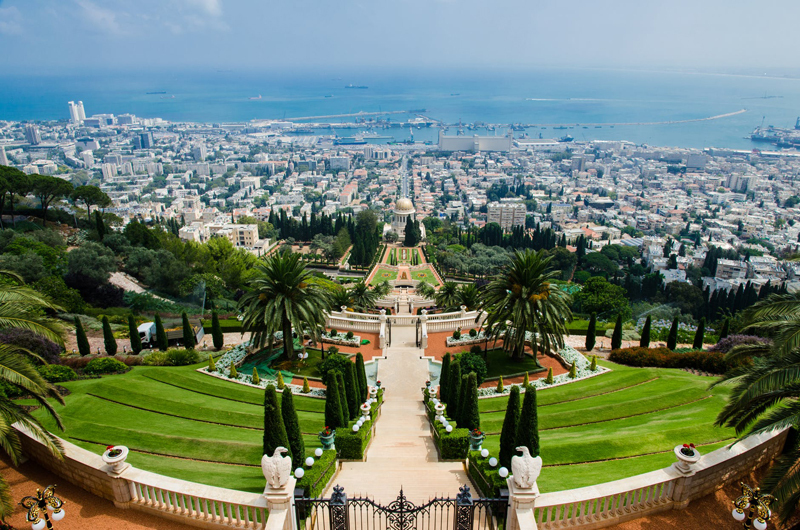 He gave His son 'Abdu'l-Bahá as a model of a virtuous life, and laid out the outlines of the kind of community which would assist in achieving those virtues. All mankind has to do is build that community!